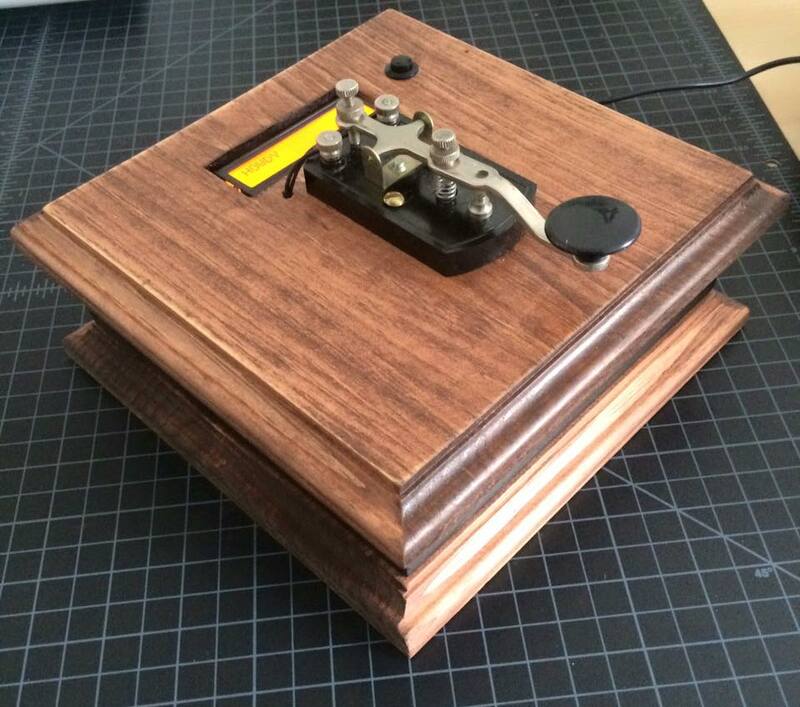 Update Almost a year ago I posted the Morse code prototype below! Since then, It has gone through many revisions. I am happy to report it has been working flawlessly in dozens of escape rooms around the country! My next revision will be an updated display using nixie tubes. Check back later for updates! If you are interested in buying one, email me! This past weekend I found a vintage Telegraph key at a yard sale. I immediately began hacking it into an Escape Room Puzzle. Before the end of day, I had a working prototype. Currently, it can translate Morse Code onto a screen. It can also trigger an event if the correct codes are input. My next step is to build a sturdy housing for electronics out of hardwood and make some tweaks to the code. More to come later!